How would your life change if your house burned down? What if you lost almost everything you owned in one snap? 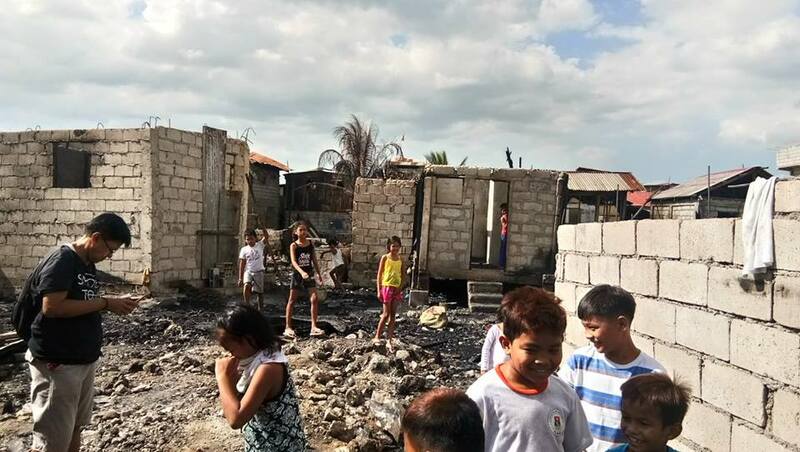 January 11, 2019 (Friday) 2 blocks of streets including 50 houses in the Baseco manila were burned down, 120 families are victims and almost 400 people were affected, when we heard the news about the accident, We decided quickly to go there so by January 12 (Saturday) at 11 am we started to go in Baseco we have this few heavy bags with us to bring some useful goodies for the fire victims. By around 12 pm we arrived at the evacuation center so we started to given away the donations , they’re really happy with what they received and they feel grateful for that. We also visited the site and houses that burned downed, so since all the houses there are just made of lite materials the fire spreads rapidly. After visiting the site we also bought noodles, canned goods , a sack of rice and mineral water that i think is really smart to given away because that's what they're really need . We do also had a little chat with the victims and It’s just so sad that it happens to those families and people that are experiencing extremely poverty , I’ll came up with thinking of how they do survive this kind of situation? And yet they’re smiling dispite of the hard situation they’re encountered. and those little stuffs and hands that i can do for my needy and helpless fellow countrymen.